Animal Rescue Corps’ mission is to end animal suffering through direct and compassionate action, and to inspire the highest ethical standards of humanity towards animals. We specialize in rescues involving large numbers of animals, with a focus on industries that profit from animal cruelty. 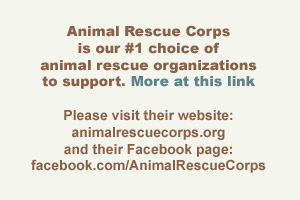 Animal Rescue Corps (ARC) is a 501c3 nonprofit animal protection organization that takes direct action in three ways. First, we conduct rescues of animals who fall victim to abuse and natural disaster. Second, we create public awareness of animal suffering. Third, we offer training and assessments for animal shelters, professionals and volunteers. We work closely with government institutions, law enforcement agencies, other animal protection organizations, and communities to improve and strengthen relationships between humans and animals. Animal Rescue Corps seeks to inspire a fundamental idea: that our responsibility to animals is vital, and all lives have value. This ideal benefits us all in many ways — our physical safety, our economic systems, our mental health, our emotional well-being and our environment. Founded by Scotlund Haisley, a 20-year veteran in this field, ARC provides expert animal protection services throughout the US and beyond.